Historians at work! 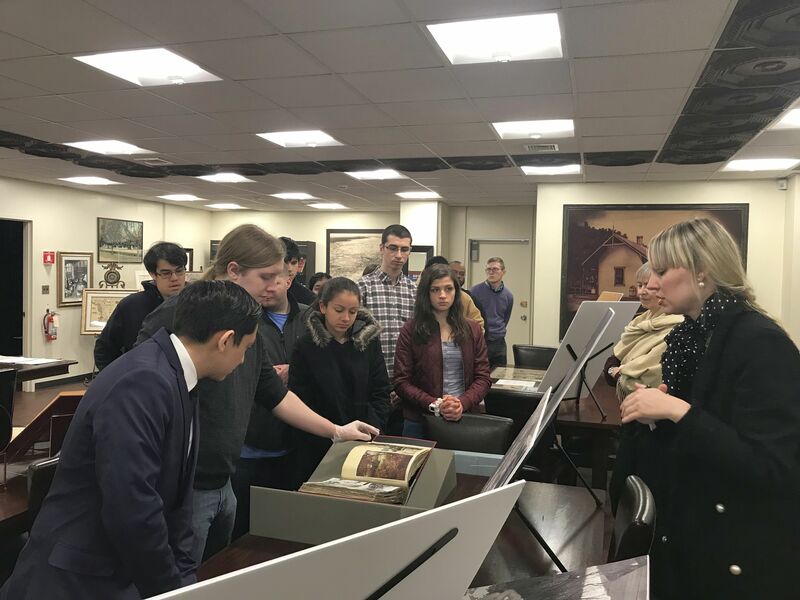 More than 20 history majors visited Special Collections on Wednesday, November 28 during campus lifetime for a tour of the rare and one-of-a-kind manuscripts, books, and maps available for research use at SBU Libraries. Thank you to SBU professor of history Donna Rilling and graduate assistant Lance Boos for coordinating the event with Special Collections. Learn more about Special Collections on the department website. History Club visits Special Collections on November 28, 2018.